Game art design is another aspect of the game development process. In order to make your game stand out and really get noticed, having quality art is a must. You can create your own game art using various tools or find free art through different game resources available online. You can also outsource an artist to make game art for you. As a game dev, I’ve tried all of these methods at various times. The method you choose depends primarily on your personal preference, allotted time, and budget. Let’s further explore each of these options and best practices for each. You don’t have to be Picasso to make your own game art. However it does require some patience and a little creativity. If you choose this route, then you’ll want to keep things extremely simple especially if you’re a newbie. Try to start off by creating a minimal style game with a nice bright color palette. Buildbox founder, Trey Smith, did this with his game Phases. He used the tool Pixelmator to create simple shapes. Pixelmator is an image editing alternative to Photoshop but either tools can be used to make quick game art. There’s plenty of tutorials on YouTube that show you in-detail how to design various shapes. If you decide to go with a minimal art style then check out palettes from sites like Colour Lovers or Adobe Color. They are great resources to help you choose the right color combinations to use so you’re game will look more polished. For sound, you might be surprised what you can record just with a simple mic and some ingenuity. For instance, the ball bouncing in the game Bounce (created by Trey Smith and Buildbox customer Mike Davidson) was a sample of Trey thumping his mouth. The breaking noise of the green lines was multiple recordings of clicking the tongue layered together. Often times when you need sounds, you can just turn on a mic and try to emulate the sound you need. The trick here is to always layer. A single thump or click will sound awkward, but if you put five different ones together, it will work in your game. You don’t always have to resort to mouth recordings either. Any type of object or tool is fair game. It’s possible to record sticks breaking, stomping on the ground and even revving an engine of a car to get that perfect sound effect. Of course, if you know a musical instrument that is always a bonus. You can record a few key notes for various aspects of your game. • Shutterstock – If you buy a lot of art, they have a subscription plan. • Dumbanex – Features a handful of free game art assets that can be used commercially if given proper credit. • Kenney Assets – Kenney has free 2D game art, 3D assets and audio available for download. • GameDev Market – Large marketplace for high quality affordable game assets. 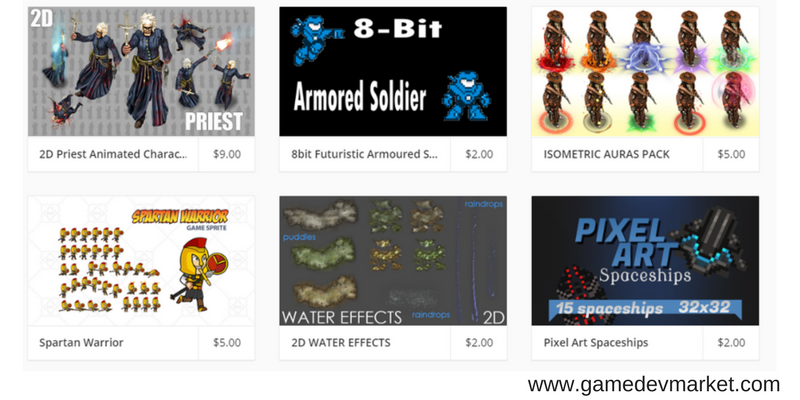 • Reddit/GameAssets/ – Reddit subcategories are a great place to find free or relatively low cost game art. • Itch.io – Over 1200 game art assets ranging from free to $15 or less. 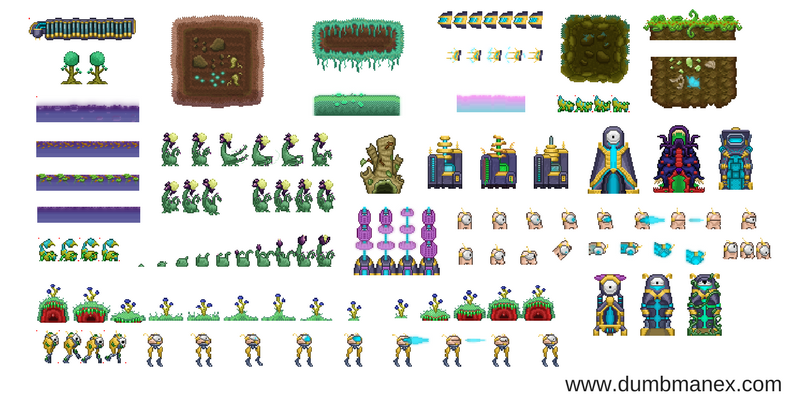 • Game Art 2D – Site dedicated to royalty free 2D game assets. Nice selection to choose from. • Reiner’s Tilesets – Reiner has wide variety of free game graphics plus 3D grapics and sound fx. • Craftpix – Craftpix offers free and reasonably priced 2D game assets, icons, sprites, tilesets and characters. It’s not the cheapest or quickest, but if you want a truly custom game, then this is the best option. Price is extremely interesting with art. Different artist value the price of the work on vastly different planes and it’s not always relative to quality. You can expect to pay anywhere from $200 to $2,000 for game art, so it’s very important to get multiple quotes and shop around. Sound is similar in the battle for quality and cost, but it’s less widely varied and the cost is much cheaper. As for the hiring and interview practices, the rules apply that were posted in the “How to Hire Your First Employee” post. I’ve found the best outsource sites for design and sound are Upwork and Freelancer, though most of the others provide these services as well. The final place you can look for artist and sound engineers who might be above the average quality seen on outsource sites is places where the elite hang out. Check out highly rated designers on sites like Dribbble and Behance. For sound engineers you can check forums like GearSlutz or FutureProducers. Editor’s Note: This article was originally published in November 2016 and was updated in February 2017 for accuracy. And you forgot, of course, Master Collection! Yes, of course :) that’s a great way to get art as well! Thanks for post! We found for us craftpix.net. It’s great! Hi Robert, I see you’re talking with Sean in support now. If you upgraded your license from a trial to a subscription, you’ll have the same license key. Thanks. I just love game development and I love Buildbox but transitioning from software engineering to game development is a bit challenging. What is an arcade game ? What is a scene and so on and so forth … so that afterwards a person can use his creativity and buildbox to jump into this interesting area.